What is 4! - Factorial for integer 4? 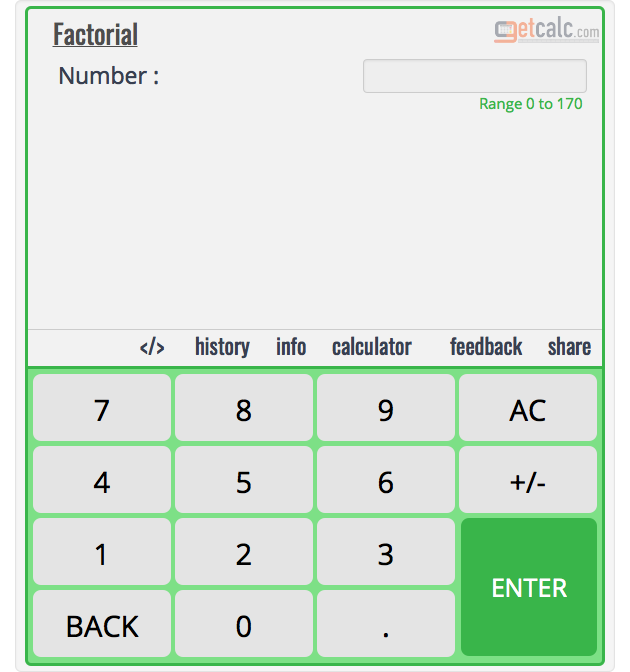 getcalc.com's Factorial Calculator is to find what is 4! - Factorial for 4? 24 is the factorial for integer number 4. Factorial is a basic mathematic function often represented by n! in mathematics, represents the product of all integers less than or equal to the positive integer n. An important function frequently used in combinatorics (permutations & combinations) theory. What is factorial of 1? What is factorial of 2? What is factorial of 3? What is factorial of 5? What is factorial of 6? What are all the prime factors of 4?